Are You Having Any Of These Sump Pump Problems? Professio nal Plumbing can ensure a sump pump is installed and functioning properly allowing for any basement drainage to be pumped out, leaving your home dry and clean. 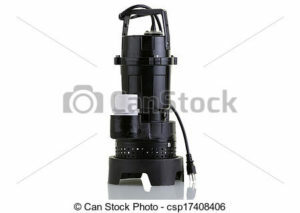 Many homeowners dont realize sump pumps can be dangerous if installed incorrectly. Most sump pumps are electrical in design and of course pump water. As everyone knows, water and electricity don’t mix. Robert at Professional Plumbing is specially trained to install sump pumps and other water-bearing devices. He will make sure that your sump pump is installed correctly and working safely. So before your next basement disaster, make sure you have Professional Plumbing install a new sump pump. It’s always easier to install a pump system before the last of the concrete is poured. Of course we can come out and install your sump pump long after construction is complete, but your options may be better if you call us before you begin or finish construction.